A newly launched “tweak store” called Extensify gives iOS users an alternative to jailbreaking their devices by offering a simpler way to install modified versions of popular third-party applications like Snapchat, YouTube, Twitter, WhatsApp, Vine, Instagram and others. Unlike with some of the jailbreaking efforts in the past, the Extensify app – basically an app store for tweaks – can be installed without needing to be tethered to a computer. However, it stops short of allowing users to modify the iOS operating system itself. That doesn’t necessarily make using Extensify “safer” than jailbreaking, of course – you’re still downloading software from outside the trusted App Store environment. The usual security concerns apply here, and you should not proceed to use Extensify without a solid understanding of those risks. However, Extensify does represent a clever way to avoid having to jailbreak your phone or tablet in order to take advantage of various tweaks. Extensify comes along at a time when the benefits to jailbreaking your iOS device have been diminished. Over the years, Apple has introduced a number of customizations to its software inspired by the jailbreak community, including things like widgets and third-party keyboards, a battery saving mode, an easier way to access commonly used controls (via the Control Center), picture-in-picture mode, split screen mode, interactive notifications, and much more. In addition, Apple has hardened its operating system, making jailbreaking more difficult as increasing numbers of security holes have been closed. Combined with a dwindling user base of jailbreakers, and the growing number of threats that exploit jailbroken phones, jailbreaking has been on a downward trend. Instead of jailbreaking, Extensify users can instead just run modified apps that offer additional functionality, which are installed fairly easily. 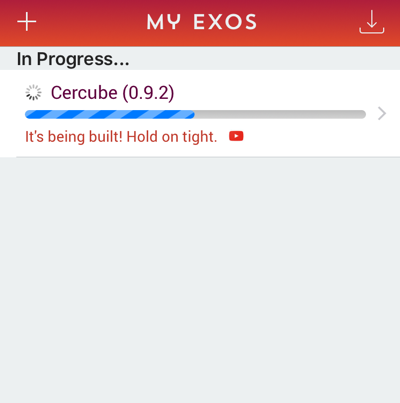 The idea for Extensify comes from developers Majd Alfhaily and Kevin Ko, who featured prominently in the jailbreak community and know first-hand how frustrating it can be to wait for new jailbreak releases. “We don’t treat Extensify as a jailbreak replacement, but our plan is to fill the gap between jailbreak releases,” says Alfhaily. The way the system works is by first installing Extensify through a configuration profile on your device. After Extensify is trusted, you can browse its app store to download the tweaks. The app sends a request to the iTunes App Store, downloads a fresh copy of the host application, repackages the app with the tweaks (called “exos” in Extensify), then sends the request back to the device and sideloads the application. Extensify doesn’t host apps on its servers, only the exos (the tweaks), as all but one are made by the team behind Extensify. The “Phantom” tweak for Snapchat is the only exception. At launch, there are over 25 different exos available. “All submissions will have to go through us first to make it to Extensify, we always ensure that the tweak is safe to use before accepting the submission,” explains Alfhaily. “When using a tweaked app, no personal data is going through our servers. It functions just like the original app, with added functionality,” he adds. It’s likely that many mainstream iOS users will not be comfortable with this sideloading system due to security concerns, but, as with the devoted jailbreaking community, there is always a group that believes the advantages outweigh the risks. In this case, the advantages are apps that let you do things you couldn’t with the official version. 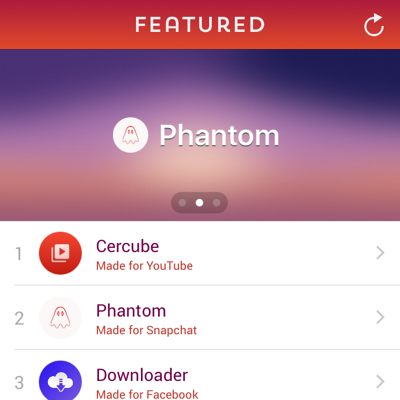 For example, the “Phantom” Snapchat tweak lets you keep snaps in your feed and mark them as read whenever you see fit, automatically save sent media, select multiple contacts at once, specify where received media is saved, and much more. A tweak for Twitter offers a video downloader, native Instagram viewer, a tool to view blocked profiles, a way to confirm favorites, and other fixes. Similar tweaks are available for other apps. Where Extensify may run into problems is its business model – it will launch as a subscription business. The plan is to charge users $8.99 every three months, and introduce other payment tiers for 6- and 12-month subscriptions. Jailbreakers are often notoriously against paying for software, and can access many tweaks through jailbreaking already. As they may not want to pay for Extensify, the team will likely need to target power users outside the jailbreak scene. That could be a small niche. In addition, the software developers whose apps are being “tweaked” may take action against Extensify, especially as it’s profiting by modifying their proprietary software. In other words, get it while the getting’s good, for it may soon be gone. Extensify’s developers are rolling out invite codes to the app now, but its system is handling these in a randomized fashion, they tell us. That means it could take minutes, hours or even days to get your promo code for a download. Of course, whether or not you should download Extensify is up to you.